Elvis Presley On Stage 50's, Live in Miami, Florida. Elvis Presley On Stage 50's, Live in Miami, Florida. 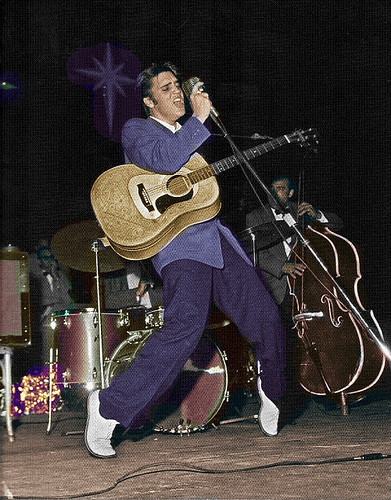 Wallpaper and background images in the एल्विस प्रेस्ली club tagged: elvis presley on stage 50's miami florida. This एल्विस प्रेस्ली photo might contain गिटारवादक, गिटार खिलाड़ी, गिटार प्लेयर, and संगीत कार्यक्रम.